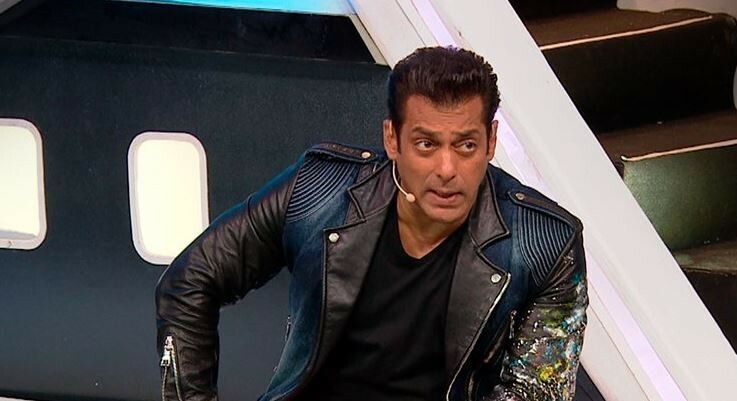 With barely a few days left for the season finale, Bigg Boss 12 has picked up the pace and "Weekend ka Vaar'" segments have upped in intensity. 09.50: Salman informs the housemates that two housemates would be evicted this weekend which leaves everyone shocked. He tells the housemates that the eviction would take place tomorrow and they are safe for one more day. 09.45: Caller of the week asks Romil whether he lost his cool after being evicted from the bus task or has he lost his gameplan. Romil says that as a sanchalak he wasn't confused. Salman asks whether he is finding it difficult to be in between Jasleen and Somi. Romil assures everyone that he would up his game again. 09.40: Salman lambasts Rohit, Karanvir and Surbhi for their disgusting attempt at humour. He also tells them that the event was not just unfortunate but also not enjoyable at all. He ends the topic by saying their respect lies in their own hands. 09.35: Salman praises Deepak for performing well in the bus task. Salman also tells them that they all wanted to throw Somi's bag but no one wanted to emerge as the bad person there. Salman shows a video where Karanvir, Rohit and Surbhi were seen wearing ladies' undergarments and posing. Salman says he is apologetic that such video even made it online. 09.30: Salman shows a video which shows all the physical fights inside the house. Sreesanth, Rohit, Karanvir and Romil are seen fighting in the video. He calls them stupid for trying to instigate physical fight. Salman shows another video showing all the women inside the house fighting, snatching, pushing and pulling. 09.25: Surbhi starts crying inside the bathroom and says that Salman is a partial host. She also says that Salman is being partial just because Sreesanth has had a difficult time outside. Salman then shows them a video of Jasleen and Somi shouting the most inside the house. Both, Jasleen and Somi try to defend themselves. 09.23: Salman says that Rohit deserved to be inside the jail. Khan then moves onto Sreesanth and asks him not to use derogatory language against anyone. He asks Sree not to get down to that level. Salman tells all the housemates to not get down and dirty and to have genuine fun. 09.20: Salman pulls up Rohit for constantly trying to badmouth Dipika Kakkar and Sreesanth. He also says that Rohit is all the respect anyone has ever had for him. Salman says that he himself has been through similar situations in life as Sreesanth. He reminds Rohit that it takes a lot of time and effort to come out of such situations. 09.15: Salman tells Surbhi that she doesn't pay heed to anything he says. He calls her 10 times more badtameez than Sreesanth. Khan also says that even he finds her irritating. Salman says that her behaviour must have been disliked by her family members too. Salman says that she should have been inside the jail for sure. He also says that even should have been inside the jail. 09.10: Salman enters the house through Panasonic TV. Surbhi brings all the housemates who were inside the jail, outside. They are asked to stand inside a prison like structure. Surbhi defends her choice of not sending Rohit to the jail. Salman gives Surbhi an earful and says she shouldn't cross her limits. He also calls her the most 'irritating' and 'badtameez' person. 09.05: Surbhi tries to reason with Sreesanth and explain why she took his name. Romil and Deepak enter the jail but Sreesanth refuses to go. He bangs the main door of the Bigg Boss house and says that he wants to leave. Sree enters the jail saying he is going only because of Romil. 09.00: The Weekend ka Vaar with Salman Khan begins with Salman Khan watching all the comments made by Surbhi Rana and Rohit Suchanti against Sreesanth. Salman reminds us that its going to be a double eviction this weekend. Even though housemates nominate different set of people, Bigg Boss gives captain Surbhi the power to send three people to jail. Surbhi decides to send Deepak, Romil and Sreesanth. With only a few days left for the season finale, Bigg Boss 12 has picked up the pace and "Weekend ka Vaar's"has become quite intense and interesting. Last weekend, Salman Khan blasted Sreesanth and Dipika for quitting the game, being abusive, and not being good sports; this weekend, Rohit Suchanti is expected to be at the receiving end of Salman's ire. Salman Khan blasted Rohit Suchanti for passing derogatory comments at Sreesanth in the promo. Khan can also be seen asking him to "stay in his limits." Rohit made fun of Sreesanth being sent to the jail which didn't go down well with Salman Khan. Salman compares Sreesanth's situation to his own and says that he has been through the same thing and also it takes a lot of courage to come out of a mess like this. Keep reading this space for minute-to-minute updates of tonight's episode at 9 pm.